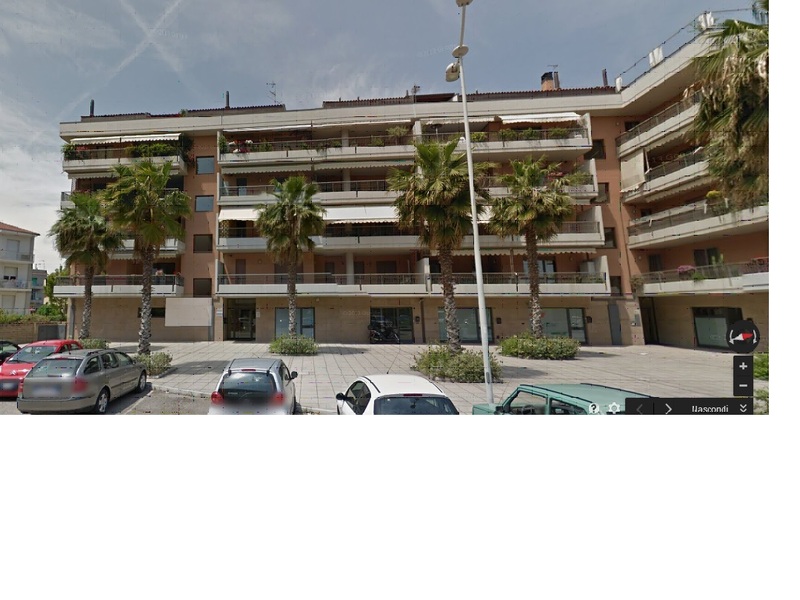 Questo prodotto, al momento, ha la descrizione in lingua inglese. 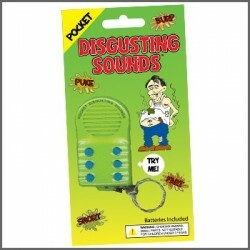 Our unique "Pocket-Disgusting Sounds Machine" will gross out friends and strangers - with the simple touch of a button. Great for quiet elevators rides, or while sitting in a rest room stall. 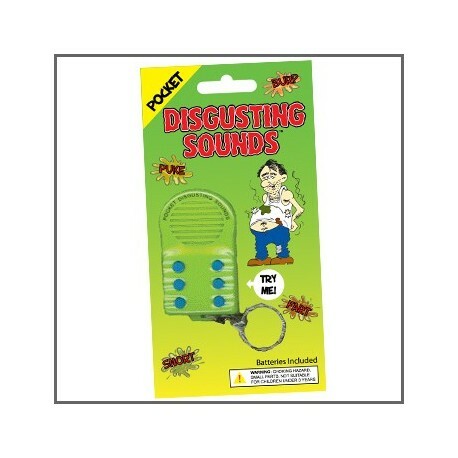 Six disgusting sounds including Burp, Vomit, Dry Heaves, Loogie Snort, Squeaky Fart, and a long Fart! Batteries Included!